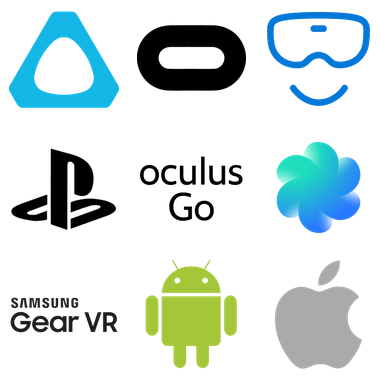 If you enjoy VR Explorer (VRE) and wish to support the site, here are various ways you can do so. Thank you! Reviewing the games/experiences that we list not only generates interest for other members, but also helps us to create a rating order in the database, which people can then use to find the titles they want, such as ‘best rated’ games/experiences. Therefore any review you can leave is highly appreciated. Reviews also earn you explorer points, which you can discover more about below.. Lists are an important part of the site and something we will be adding more functionality to over time, such as the ability to rate list items up and down, create different list types, and so on. However, right now the most important thing is to create cool lists that people will find useful in their quest to find new and interesting VR titles to experience, therefore if you have a list in mind that you think people might enjoy, please go ahead and create it. Thank you! The site is currently at a stage in development that I could afford to take it to, and any further development cannot take place until such times that I have enough members to attract advertisers with. However, I have provided a link below so that anyone with a Paypal or bank account can donate directly towards the next development phase IF they like what I am doing and can afford to. I have a lot planned for the site and am eager to proceed, so any amount is greatly appreciated and goes directly to the development of VRE. Many thanks indeed. Explorer points are a reward system for people that help the site grow and help it stay updated. They will be earned for reviews, lists, useful forum posts, and for other helpful ways that users interact with the site. Rewards for points earned will be game keys and other VR goodies hopefully provided by developers and any potential sponsors. Please note that although the Explorer Points system has not yet been deployed, any reviews/lists etc that you add to the site now, will earn explorer points which will be added to your tally when the system goes live. Your feedback is highly important to me, so please consider dropping me a quick email letting me know what you think of the site, what you like and dislike about it, and also any suggestions that you may have in ways to improve it. Thanks for your time.